Myrtie recently rejoined the Northwestern campus community after completing her master’s degree in Cultural Studies from the University of California Davis. At UC Davis Myrtie conducted research to study how social media interactions affect social identity formation among niche-groups as a segue to thinking about challenges toward racial identity formation among Black women of the millennial generation. As a class of ’12 Northwestern alumna, Myrtie considers to have gotten her start in Student Affairs while working in Northwestern’s own Norris University Center as an undergraduate student. 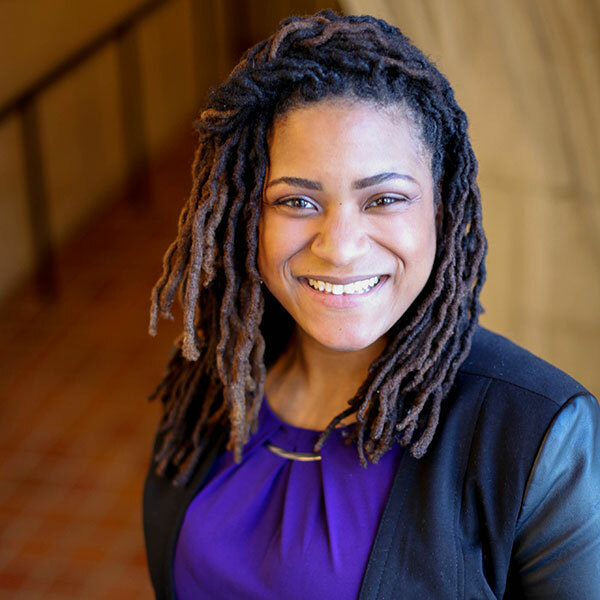 She is passionate about affecting the experience of students from underrepresented backgrounds as they navigate higher education, and she is excited to be back on her old stomping grounds at Northwestern’s Evanston campus.